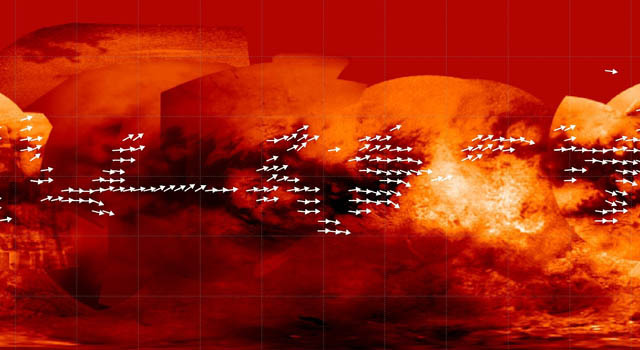 Titan's vast dune fields, which may act like weather vanes to determine general wind direction on Saturn's biggest moon, have been mapped by scientists who compiled four years of radar data collected by the Cassini spacecraft. 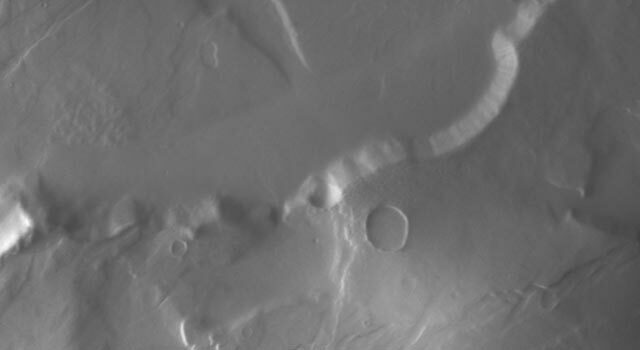 Titan's rippled dunes are generally oriented east-west. Surprisingly, their orientation and characteristics indicate that near the surface, Titan's winds blow toward the east instead of toward the west. This means that Titan's surface winds blow opposite the direction suggested by previous global circulation models of Titan. 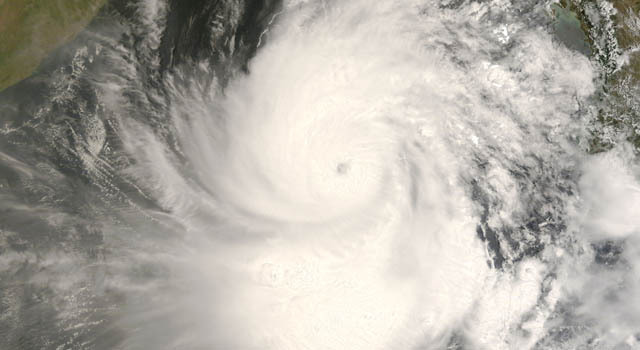 "At Titan there are very few clouds, so determining which way the wind blows is not an easy thing, but by tracking the direction in which Titan's sand dunes form, we get some insight into the global wind pattern," says Ralph Lorenz, Cassini radar scientist at Johns Hopkins University Applied Physics Laboratory in Laurel, Md. "Think of the dunes sort of like a weather vane, pointing us to the direction the winds are blowing." A paper based on these findings appeared in the Feb. 11 issue of Geophysical Research Letters. 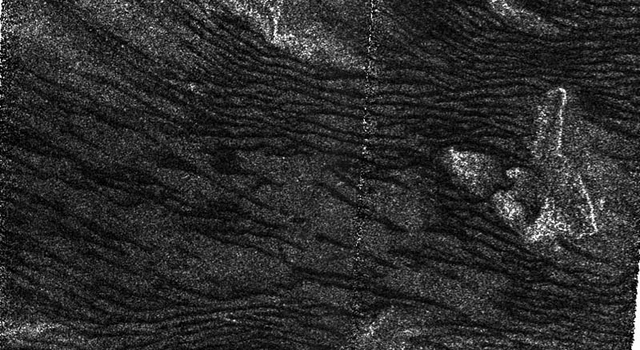 "Titan's dunes are young, dynamic features that interact with topographic obstacles and give us clues about the wind regimes," said Jani Radebaugh, Brigham Young University, Provo, Utah. "Winds come at these dunes from at least a couple of different directions, but then combine to create the overall dune orientation." The new map, based on all the high-resolution radar data collected during a four-year period, is now available at: http://saturn.jpl.nasa.gov and http://www.nasa.gov/cassini . The wind pattern is important for planning future Titan explorations that might involve balloon-borne experiments. Some 16,000 dune segments were mapped out from about 20 radar images, digitized and combined to produce the new map. Titan's dunes are believed to be made up of hydrocarbon sand grains likely derived from organic chemicals in Titan's smoggy skies. The dunes wrap around high terrain, which provides some idea of their height. They accumulate near the equator, and may pile up there because drier conditions allow for easy transport of the particles by the wind. Titan's higher latitudes contain lakes and may be "wetter" with more liquid hydrocarbons, not ideal conditions for creating dunes. Cassini, which launched in 1997 and is now in extended mission operations, continues to blaze its trail around the Saturn system and will visit Titan again on March 27. 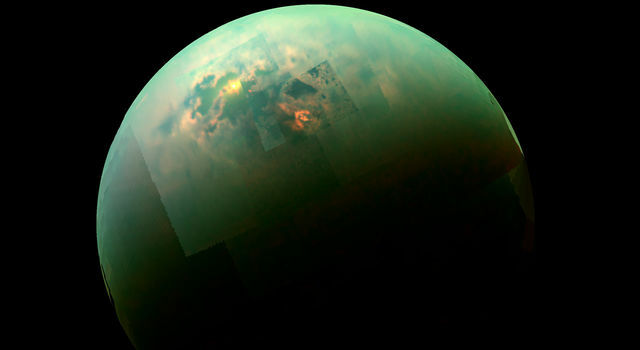 Seventeen Titan flybys are planned this year.